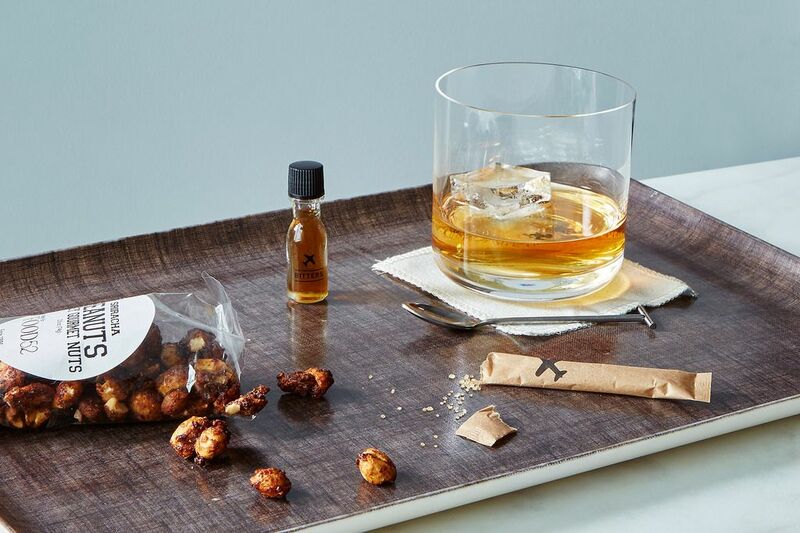 Today: We asked three members of the Food52 team to take the exclusive Carry-On Cocktail Kit with Spiced Travel Nuts by W&P Designs on their next trip. Here's what happened. If you had visited Josh Williams and Eric Prum's college dorm at the University of Virginia, you would have found shelves of Mason jars filled with peach-infused bourbon. The jars, shoved between books on product design and cooking, weren't for their own party, but for their catering company. After Josh took a year off to attend a culinary school in Italy, he and Eric spent their senior year catering and bartending for weddings. Flash forward several years and one successful Kickstarter campaign later, and their "catering company" has evolved into W&P Design, now a team of eight people dedicated to creating original food- and drink-related products. 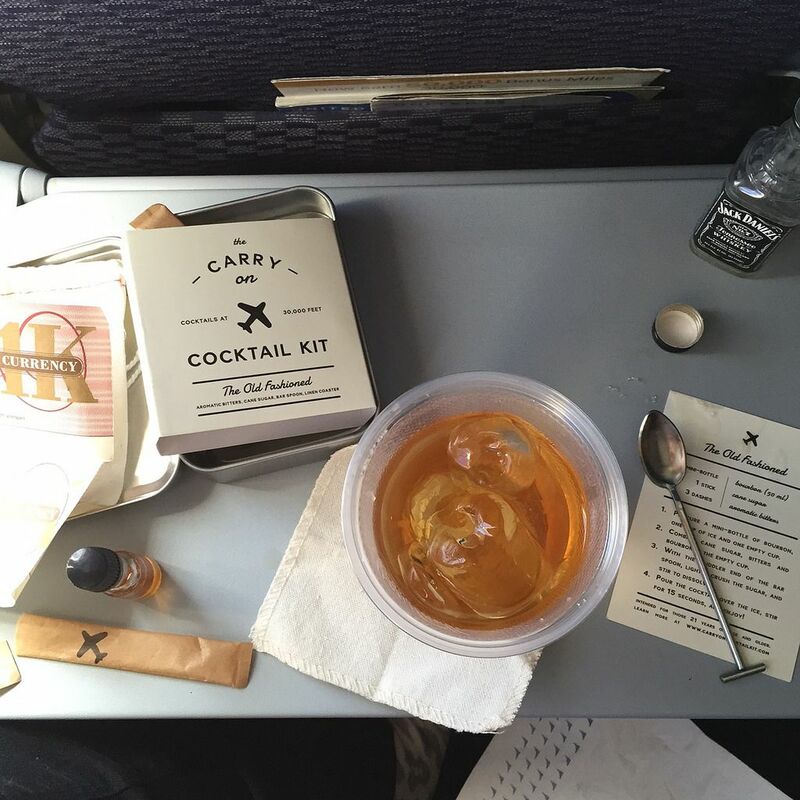 "I don't usually order a drink on planes, but having the Old Fashioned kit on hand corrupted me in the most civilized way. A stash of airline drink tickets from my future father-in-law made it that much easier (a good tip if you're gifting kits!)." "The Carry-On Cocktail Kit was a conversation starter for me! An Old Fashioned is a perfect cocktail for this—minimal effort and flavorful from bitters and a little cane sugar. 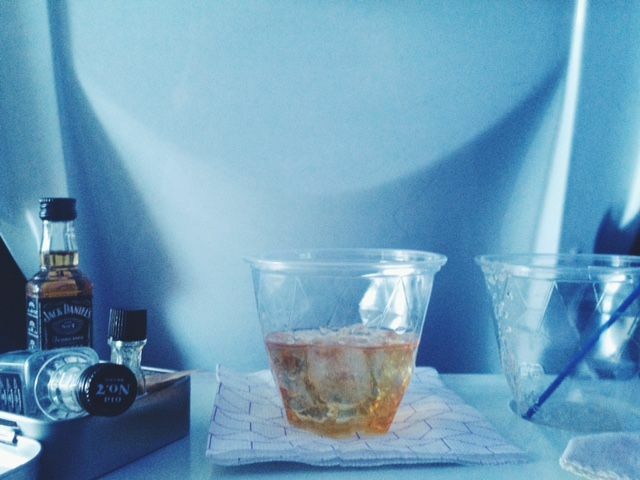 One of the cabin crew who was serving drinks asked me all about it and then gave me a free bottle of bourbon, too!" After carefully reading the instructions, requesting a second empty cup for muddling, reclaiming various items from the cocktail kit from the wandering hands of my neighbor (the two-year old, not his mom), I was pretty satisfied with the scene on my tray table. And when my neighbors took a trip to the restroom, I decided I should probably taste the result and proceeded to slowly sip down the whole drink. 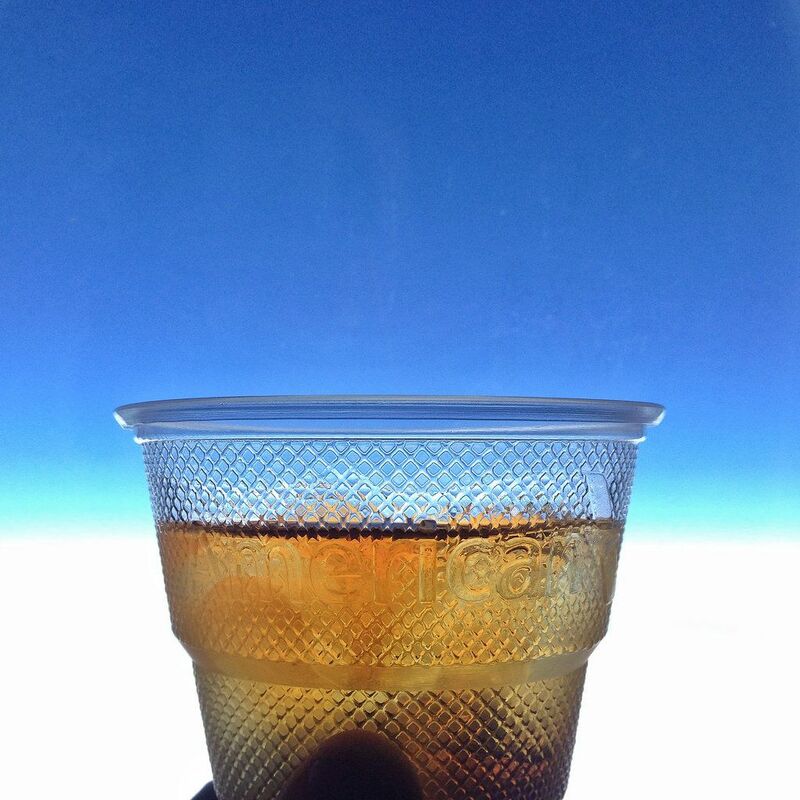 Turns out a cocktail in the air is a pretty great thing." More: Learn how to make a better Old Fashioned when you're on terra firma. "People are always totally entertained by it! Sometimes we even add citrus slices, which people love and take pictures of. 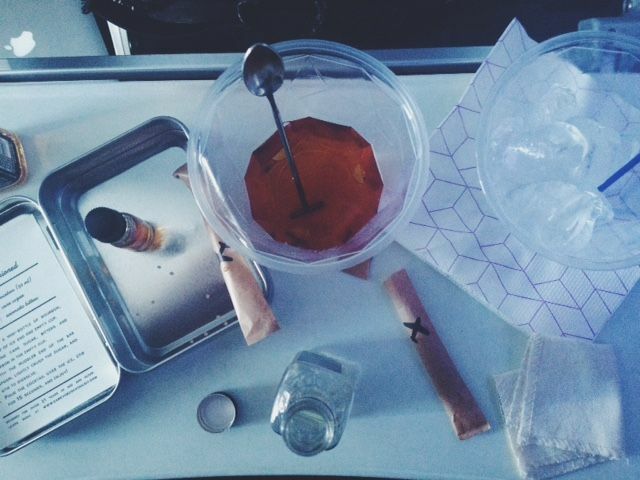 People always ask about it because it looks like such a science experiment on the plane. There was one time when the person next to me actually logged into the plane's wifi and ordered one as we were flying!" That's what we call a bon voyage. 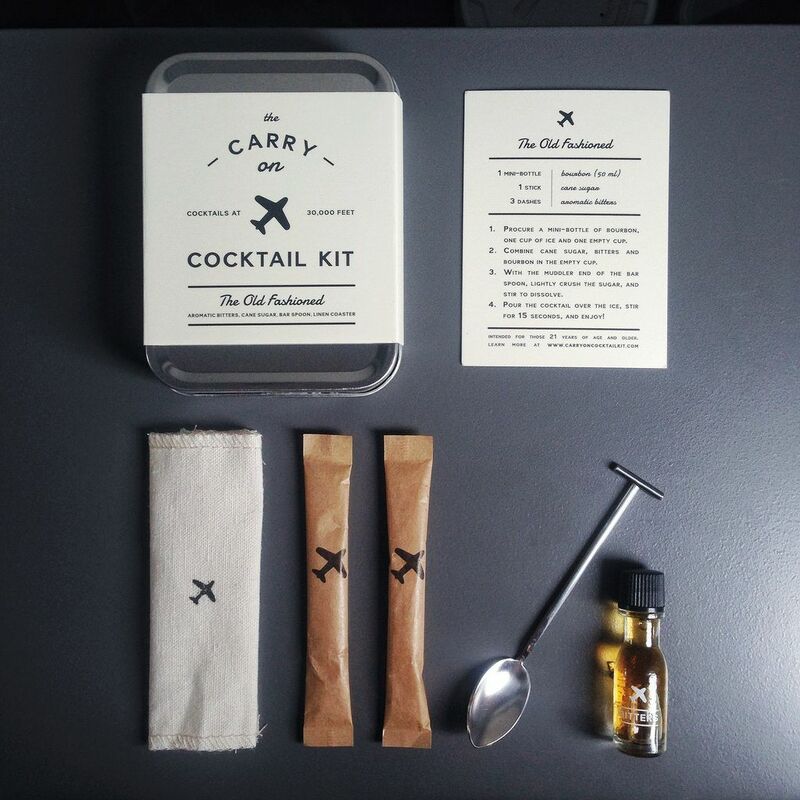 Buy your in-flight cocktail kit here. 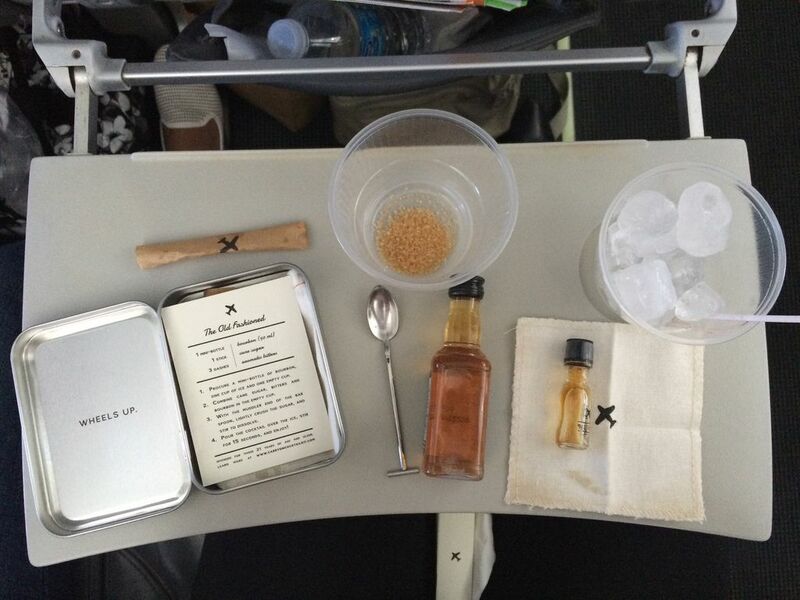 Top photo by Bobbi Lin; bottom photos by Eric Prum; all others by Food52 in-flight beverage researchers. I just bought their book, Infuse: oil, spirit, water. It's fun! Full of great recipes. Isn't it great? They have so many good ideas!! $39 + shipping + liquor for one cocktail? A bit overpriced perhaps for some twee details? You can carry on unlimited containers as long as they don't exceed 3 oz. each. Easy to replicate, down to the little metal box. Thanks for the idea! Lydia, the kit makes 2 cocktails (at least -- there's enough bitters left for more) and there are 3 kinds of our own spiced nuts included for (very) upgraded snacks. That should be made clear. There is nothing to indicate that to be the case. Jon, this comment is in violation of our Terms and will be removed. Jack Daniels is a Tennessee Sour Mash, not bourbon. Bourbon is made in Kentucky. Leslie, you're right that bourbon is made elsewhere than just Kentucky, just like champagne is made elsewhere than the Champagne province. However, bourbon hasn't been produced in Bourbon County since the early 20th century. All distilleries were destroyed with the advent of Prohibition. (http://en.wikipedia.org/wiki/Bourbon_County,_Kentucky). The Kentucky Bourbon Trail (http://kybourbontrail.com/map/) basically runs past the farm where I grew up in Washington County, an original Kentucky county, where my family settled on their Revolutionary War land grant. While we might *have* to acknowledge bourbon made elsewhere in the US, we will still insist that the real bourbon comes from Kentucky. By the way, it's "terra firma" not terra forma. Glad to see you agree!! It's such an interesting history. Champagne though is a different story, since it does have to be made in Champagne, France for it to be called Champagne—but many sparkling wines are similar to it! Bourbon does NOT have to be made in KY! That's already been acknowledged, Brandon.